Our guest speaker, Jim Kelly, shared his personal mental health story, and informed us of the history and services of NAMI DuPage. NAMI DuPage was founded by a group of parents in 1985 as an affiliate of the National Alliance on Mental Illness, a nationwide mental health advocacy organization, begun in 1979, dedicated to improving the quality of lives of people affected by mental illnesses. These parents were looking for services for their children who had been diagnosed with mental illnesses. By joining forces, they thought they could advocate for improved services. 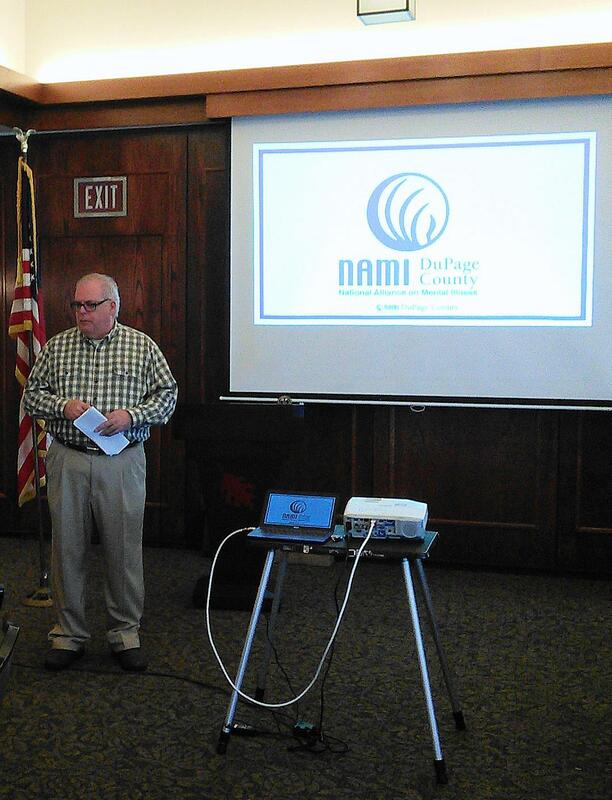 NAMI DuPage has grown from this small handful of people to an organization of over 1,000 members and has become one of the largest and most innovative of 1200 affiliates nationwide.